There are a lot of things that make the holiday season great, but the accessibility to egg nog has to be way up there. One of our favorite events every year is the Nog Off at the Historic Arkansas Museum. This year the event enters the “12th ever” iteration and takes place this Friday, December 9th, from 5-9. The event features nine competitors from around the world of food including Big Orange: Midtown, Capital Hotel Bar and Grill, Loblolly Creamery with O’Looney’s Wine and Liquor, The Pizzeria & Arkansas Mixology Associates, John Selig & Leah Elenzweig, Stone’s Throw Brewing & Heritage Grille at the Marriott, Trio’s Restaurant, Museum Director Bill Worthen, as well as our entry with chef Ken Dempsey. Two prizes are awarded, a people’s choice and a taster’s choice chosen by a panel of judges including Amy Bell from South on Main and Alexia Elichiry from De Nux Distributors. 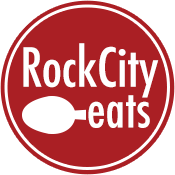 Last year, the Rock City Eats team of Ken Dempsey and I won the people’s choice and missed the judge’s selection by a single point. So know that we (and by we I mean mostly Ken) are going to step it up this year. 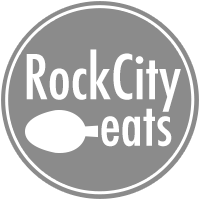 Ken’s recipe features some outstanding Rock Town Distillery whiskey that really helped make the whole recipe great last year. Along with the Nog Off you can also enjoy the opening reception for Eclectic Color: Diverse Colors for a Diverse World, curated by the Arkansas Arts Council, hear live music by The Charlotte Taylor Band and holiday shopping for #Arkansas Made gifts in the Museum Store. Admission to the Nog Off is free. Visitors can start 2nd Friday Art Night at Historic Arkansas Museum’s 12th Ever Nog-off, where there is plenty of free parking, and later catch the free trolley to other participating venues. Shuttle service ends at 8:30 p.m.
Stop in, say hi, and grab some nog. After you are done be sure to give us a vote. See you Friday.